According to an old fairy tale, a single tiny pea placed beneath 20 mattresses and 20 featherbeds was enough to keep the true princess awake throughout the night. In real life, a tiny pea-sized stone, lodged in one or the other of your kidneys, is enough to keep you not only awake all night but crying out in pain and gritting your teeth until you can get to a doctor for relief. Kidney stones are deposits of mineral or organic substances that form in the kidneys. Approximately 10 percent of people develop kidney stones at some time in their lives. You’re most likely to suffer stones if you are male, are 20 to 40 years old, or have gout. Men are four times more likely than women to get kidney stones, the theory being that female hormones prevent kidney stones from forming. Kidney stones also tend to run in families, so individuals with a close relative who has been through a stone episode should be careful. Most first-time victims are between 30 and 40 years old and are otherwise in very good health. Like gallstones that go undiagnosed, kidney stones don’t always cause problems. Kidney stones may be present for years and never produce symptoms. But when they grow large enough to block the flow of urine through the ureter (one of two tubes that allow urine to drain from the kidneys to the bladder), the pain can be excruciating. Symptoms include severe pain and tenderness over the affected kidney, frequent and painful urination, blood in the urine, nausea, fever, chills, and extreme exhaustion. Diet may be a major contributor to why some people develop kidney stones. There are also simple lifestyle changes you can make to help keep kidney stones from forming. Read the next section for home remedies that will prevent the pain of kidney stones. If you have been through a bout with a kidney stone in the past or think you might be a candidate for developing one, you should do your best to beat the odds by trying the home remedies listed below. Eating large quantities of fruits and vegetables provides you with lots of vitamins, minerals, and other beneficial nutrients; however, some of these foods also provide oxalates, which you may need to go easy on if you have a tendency toward kidney-stone formation. Although some regard it as a wonder vitamin, in very high doses — more than 3,000 milligrams daily — vitamin C can be a potential problem for those who tend to form kidney stones. That’s because the body converts this vitamin to oxalate. If you have had a kidney stone, your safest bet is to get your vitamin C from foods, not high-dose supplements. Individuals who form uric-acid stones are usually found to eat diets high in animal protein. Animal protein can accelerate formation of uric acid and calcium in the urine, which may, in turn, cause stones to form. So try to moderate your meat intake. Thank a lot for sharing this informative and very useful article. No doubt, that Kidney is one of the most important organ in human body. It must be cared every time. Some of my friends were in the same trouble but couldn’t get better solution for them. 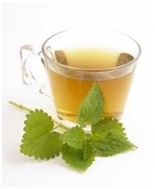 And now after going through your article, I am so glad to have A GREAT HERBAL TEA RECIPE to recommend them. Thanks again for sharing this informative article. You’re welcome Laura. Thank you for taking the time to read the article. We appreciate your feedback.